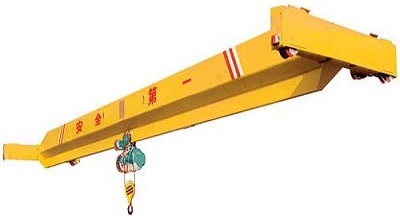 Double Girder Grab Crane is developed and evolved from double girder bridge crane, suitable for metallurgy, steel mills, brewing, building materials, chemicals, coal and other industries or outdoors across fixed span, engaged in minerals, steel scrap, wine tank, slag, coke, coal, sand and other parts or granular materials lifting and handling work. Equipped with rain-proof device during outdoor operation. It belongs to heavy duty, lifting capacity including the weight of the grab. 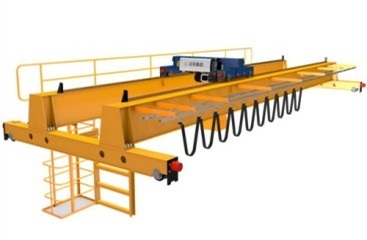 Double Girder Grab Crane mainly consists of bridge, crane traveling, trolley, grab, driver’s cabin and electrical equipment. Adopt double beam and double track, hoist trolley structure. 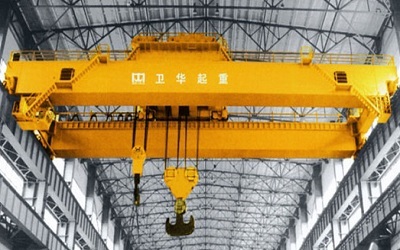 Double Girder Grab Crane trolley set with two hoisting mechanism, each adopt duplex reel, symmetrically arranged, respectively manipulate the lifting, and the opening and closing of the grab, it is easy to use, with stable operation and high productivity. 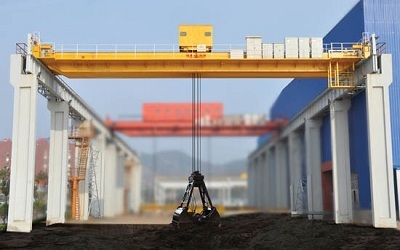 Double Girder Grab Crane bridge structure, driver’s cabin and the crane traveling mechanism are the same with the double girder overhead crane. 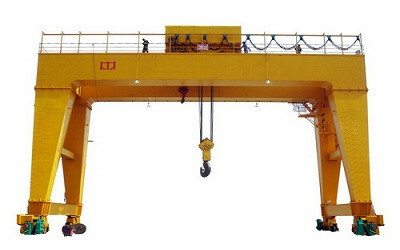 Double Girder Grab Crane hoisting mechanism working principle: using two sets of duplex reels, symmetrical arranged, lifting motor shifting through the gear, and then drive the reel through reel coupling, through the wire rope winding system, respectively manipulate the lifting rope, and the opening and closing rope of the grab, to control the grab lifting, opening and closing. Components of each hoisting mechanism are with compact layout and easy maintenance, to ensure safe and reliable.